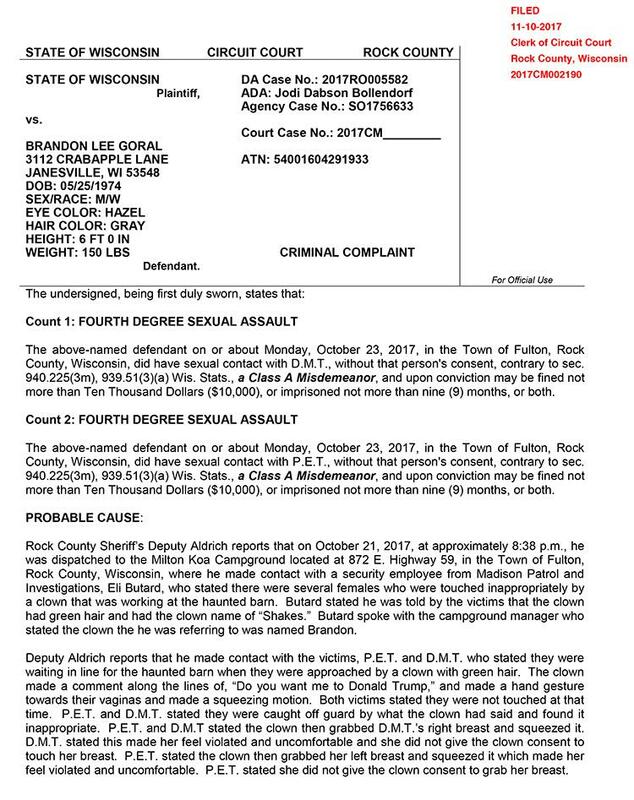 NOVEMBER 21--Shakes the Clown has been charged with groping two women at a holiday haunted house in Wisconsin, records show. 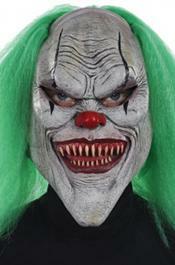 Two women told cops that a “clown with green hair” first approached them and asked, “Do you want me to Donald Trump?” While making this inquiry, the clown “made a hand gesture towards their vaginas and made a squeezing motion,” the complaint alleges. During questioning, Goral (seen above) said that he “does not touch women’s breasts” unless requested to do so. Goral claimed that he was “asked multiple times by different females to grab their breasts for photos,” adding that he had received that request several times that evening.